I woke up yesterday morning to the news: Terror attacks in Brussels, Belgium have left dozens dead and scores more injured. I’ve watched the story evolve since it happened; it seems that the Islamic State/Daesh has taken credit. These are the latest in a string of suicide bombings, mass shootings, and other forms of ideologically motivated violence across Europe, Africa, and the Middle East. At home in the US, the San Bernardino attackers were inspired by IS, with a similar attack thwarted in Milwaukee by other sympathizers. The goal of terrorism, in part, is to create a feeling of helplessness and vulnerability. If an attack can happen anywhere, anytime–the Metro station bombed in Brussels was blocks away from the European Commission’s headquarters–then none of us are truly safe. That’s the theory, anyway. And it’s nonsense. Don’t get me wrong: the danger is there, and it’s real. These jerks strike without warning, often using methods that are difficult to counter–one cannot reason with a suicide bomber. However, there are steps we can take to keep ourselves safe and be proactive in dealing with these lunatics. Practice situational awareness, everywhere, all the time. Educate yourself on what to look for: the signs of a concealed weapon, a hidden explosive device, or other indicators that something might be about to go down. Keep your CCW on you and ready to go. Hone your shooting skills every chance you get, and drill the tactics you’ll need to survive and armed encounter. I hold that the CCW community can be an effective deterrent to many attacks, especially mass shootings. Let’s make sure we’ve got what it takes. In the wake of an attack, immediate care for the wounded is vital. Learn first aid, and go a step beyond by learning the basics of trauma care. After the bombings in Boston, a lot of lives were saved by the quick intervention of folks with the right training and gear. Be ready to be that kind of hero. Learn when to shelter in place, when to bug out, and make sure you’re prepared for both contingencies. In Belgium as I write this, an entire nation has been told to stay home. Most public institutions are closed, and I have to imagine that transportation is a nightmare. A resident of Brussels who I interviewed online described the situation as “chaotic” nationwide . At times like this, help might take a long time to get to you. It might not show up at all. You’ll need to be able to care for you and yours. Your mind is your greatest weapon, so use it. The causes of this conflict are complex, with roots in the First World War. There are a lot of players involved, and their motivations are complicated. It’s a bit of work, but it gives you an edge. We the people are powerful, and we have what it takes to stand up to this nonsense. We can’t give in to fear or paranoia. We can’t turn on each other when we need to be united against our foes. And we can’t give up. As a final thought, I encourage you to remember that while these events are sickening to us, they’re a fact of day to day life in many places around the world. Spare a thought for all afflicted, and please stay safe out there. A violent crime can occur anywhere at any given moment. However, it should not be a surprise to anyone that violent crime occurs more often in urban environments than in suburban or rural communities. A person venturing into a well-populated city for business or recreation would be well advised to conduct some pre-trip planning to ensure a safe stay. Accordingly, persons who are concerned about big city crime may wish to legally carry their firearms for personal protection during their visit. Appropriate arrangements should be made to ensure a hassle-free and safe experience. The first consideration for carrying a firearm in the city is to ensure you are aware of any local ordinances regarding firearms. In some states, such as Michigan, firearm laws are "pre-empted" at the state level. As such, firearm laws are uniform and the same all across the state. However, in other states, such as North Carolina, gun laws may vary depending on what county you are visiting. Furthermore, different cities within a county may have varying laws at the city level. Failing to know the laws of the city you are visiting is not a legally valid excuse of running afoul of them. You should be aware of the statutorily defined "gun-free zones" in the city you are visiting. In addition, you should also research all of the businesses on your itinerary to see if they have any company-specified bans on carrying firearms for visitors. If your plans involve traveling to and entering these areas, you must decide upfront what you are going to do with your gun. You may elect to leave your firearm in your vehicle, if local law allows you to do so, but please be mindful that criminals frequently prowl parking lots of "gun-free zones" looking to steal firearms from unattended vehicles. Thus, if you must leave your gun in your car, it would be wise to secure it in a car safe. If the risk of having your firearm stolen from your vehicle is too great for comfort, you may want to have it secured in a safe in your hotel room or in a safe at the hotel's front desk. Do not just leave your firearm unattended in a hotel room, despite how well you think you can hide it. If there are no safes available at the hotel or you can't securely store your gun in your vehicle, you're best bet may be to leave it at home. A great way for visitors to stay safe in urban environments is to always be aware of their surroundings. Large cities offer many visual distractions that can prevent visitors from identifying potential threats. As such, activities performed in public—such as talking on a cell phone, taking tourist photos and reading maps—can signal that a person is "safe" to victimize. A defensive firearm has no practical benefit if the carrier is not paying attention to his environment. A predator prefers an unaware target because the victim won't see the attack coming, which ensures the bad guy's safety. As such, visitors should always be aware of the people around them and what activities they are performing. The tasks strangers are conducting should be congruent to that specific environment. Strangers should not be allowed to violate a visitor's personal space. Crime is a personal affair—it requires the assailant to be physically close to the target. Any variety of ruses can be employed to close that gap, such as requests for assistance, submission of personal questions or attempts to return something you allegedly dropped. Never allow a stranger to encroach and violate your personal space. Furthermore, a visitor can also enhance his personal safety by confidently and briskly traveling to his destination with a full head of steam. The visitor knows exactly where he is headed, because he did his research online and mapped out his route ahead of time. Accordingly, he can't be easily taken off course by any ruses and doesn't have to depend upon the kindness of strangers to help him make it to his destination. More importantly, he does not appear to be a hapless tourist by any attending predators. The best form of protection is avoidance facilitated by prior preparation. Carrying a defensive firearm for personal protection in an urban environment requires more preparation and active attentiveness than doing so in suburban and rural communities because the risks of being a crime victim are higher. There are more criminals present in the city who are enabled by an even higher number of visual distractions. As a consequence, the defensive-gun carrier should engage in pre-trip planning to ensure a smooth and safe visit to the city. Requisite tasks include conducting firearm-law research and planning an itinerary with travel directions. Moreover, once the visitor has arrived in the city, it is imperative for him to be actively aware of his surroundings and to jealously guard his personal space. So you have worked out a method of carrying your defensive handgun that conceals well for you and allows you to make a quick-draw response should trouble raise its angry head. My guess would be that, for most of you, this involves wearing the handgun somewhere near your waistline. Hip holster, inside the waistband, pocket holster—the method doesn't really matter as long as it works for you. But now I am going to throw a monkey wrench into the whole defensive equation. When you get behind the wheel of your car and buckle up your seat belt, you quickly discover that your defensive handgun is no longer quick and easy to access. That steering wheel and seat belt become instant barriers to a quick draw. Because of this problem, some people take their handgun out and stow it nearby in the vehicle. Others have a second gun that stays in the car at all times and is located so that it is much handier than the one they are wearing on their person. While a designated car gun is certainly a good idea, it is also an idea that is fraught with challenges for the responsible defensive carrier. Wherever you decide to stow that car gun, it must be out of sight for a number of reasons. Anyone, including law enforcement officers, should not be able to see the gun by just a casual glance into the car. Obviously, having the gun in plain sight will very likely encourage a car burglary. And, when stopped by law enforcement, you don't want them to see the handgun until you have handed them your concealed carry license and indicated a sense of cooperation. Another consideration regarding car guns is that they should not be readily accessible to passengers, especially children, who are not authorized or trained in their use. Curiosity can get people hurt. And you may have friends who don't understand or don't approve of such practices. If they don't see the gun, unwanted injuries and uncomfortable discussions are far less likely to result. So the question is not really about carrying a defensive handgun in your vehicle, but how to keep it secure and yet readily available. Ideally, it should be in a location that allows you to access it with one hand because your other hand may be busy performing a number of other tasks. But it should also be secure enough that it doesn't go flying in the case of an accident or your car being rammed on purpose. Because there are so many different kinds of vehicles, it is difficult to suggest one or two places that the defensive handgun should be kept. It is best to just study your own vehicle and determine where the best and most secure locations might be. Alongside the steering column, under the dash, the driver's side of a console, and under the driver's front seat—all might be good locations to begin your search for that handy spot. Fortunately, there are a number of products that can help make your determination a bit easier. One of my favorite products is the RAM Mount from Crossbreed Holsters (www.crossbreedholsters.com). Crossbreed mounts one of their Kydex holsters to a RAM unit that can be positioned just about anywhere in your vehicle by just drilling two screw holes. Under the dash or low on the side of the console leave the handgun readily available, even when you position it so that the handgun is hidden from casual view. Other products are the numerous gun safes that are made especially for being mounted in a vehicle. Using Google, one can quickly find a large number of vehicle gun safes; even Amazon carries them. While those that require a key to open are the most secure, I would avoid them for the obvious reason that fumbling with a key during a stressful situation is not going to be very fast. Those using a touch pad, or other quick opening device, are much preferred. Actually, keeping a defensive handgun in your car is not much different from keeping one in your home. You want it to be out of sight, secure, yet as readily available as possible. You spent some time going over your home to find just that right location, and the same holds true with your vehicle. Study your particular vehicle, study the products that are available for vehicle carry, and work out what is the best bet for your situation. Using your own imagination is a critical part of any serious personal defense plan. 10 Commandments of Concealed Carry! Hollywood actors get to see the script beforehand, and nothing is fired at them but blanks. You don’t have either luxury. Criminals attack people in times and places where they don’t think the victims will be prepared for them. It’s what they do. The only way to be prepared to ward off such predators is to always be prepared: i.e., to be routinely armed and constantly ready to respond to deadly threats against you and those who count on you for protection. It’s not about convenience; it’s about life and death. The gun is not a magic talisman that wards off evil. It is a special-purpose emergency rescue tool: no more, no less. History shows us that—for police and for armed citizens alike—the mere drawing of the gun ends the great majority of criminal threats, with the offender either surrendering or running away. However, you must always remember that criminals constitute an armed subculture themselves, living in an underworld awash with stolen, illegal weapons. They don’t fear the gun; they fear the resolutely armed man or woman pointing that gun at them. And, being predators, they are expert judges of what is prey and what is a creature more dangerous to them than what they had thought a moment ago was their prey. Thus, the great irony: the person who is prepared to kill if they must to stop a murderous transgression by a human predator is the person who is least likely to have to do so. Lightweight pseudo-psychologists will tell you that “the trigger will pull the finger,” and your possession of your gun will make you want to kill someone. Rubbish. The gun is no more an evil talisman that turns kindly Dr. Jekyll into evil Mr. Hyde than it is a good talisman that drives off evil. Those of us who have spent decades immersed in the twin cultures of American law enforcement and the responsibly armed citizenry know that the truth is exactly the opposite. A good person doesn’t see their weapon as a supercharger or excuse for aggression, but as brakes that control that natural human emotion. The law itself holds the armed individual to “a higher standard of care,” requiring that they do all that is possible to avoid using deadly force until it becomes clearly necessary. Prepare and act accordingly. If you live someplace where there is no provision to carry a gun to protect yourself and your loved ones, don’t let pusillanimous politicians turn you into a convicted felon. Move! It’s a quality of life issue. Rhetorical theory that sounds like “I interpret the law this way, because I believe the law should be this way”—which ignores laws that aren’t that way—can sacrifice your freedom, your status as a gun-owning free American and your ability to provide for your family. If you live where a CCW permit is available, get the damn permit. If you don’t, move to someplace that does. Yes, it is that simple. And if you are traveling, check sources such as handgunlaw.us to make sure that you are legal to carry in the given jurisdiction. Don’t let the legal system make you a felon for living up to your responsibilities to protect yourself and those who count on you. If you carry, make sure you carry legally. Gunfights are won by those who shoot fastest and straightest, and are usually measured in seconds. Legal aftermaths last for years, and emotional after-maths, for lifetimes. Get educated in depth in the management of all three stages of encounter beforehand. 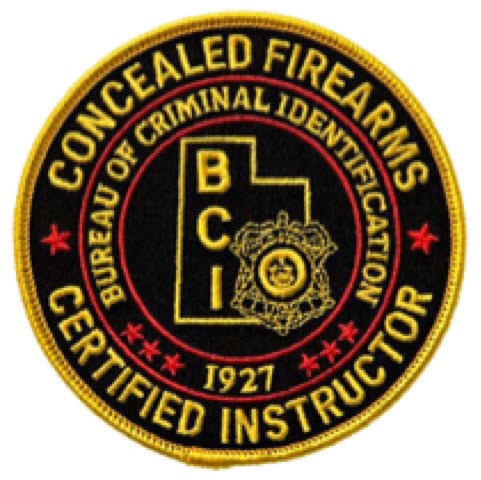 If your local license requires concealed carry, keep the gun truly concealed. The revealing of a concealed handgun is seen in many quarters as a threat, which can result in charges of criminal threatening, brandishing and more. A malevolent person who wants to falsely accuse you of threatening them with a gun will have their wrongful accusation bolstered if the police find you with a gun where they said it was. Yes, that happens. Some jurisdictions allow “open carry.” I support the right to open carry, in the proper time and place, but I have found over the decades that there are relatively few ideal times or places where the practice won’t unnecessarily and predictably frighten someone the carrier had no reason to scare. If you ever need that gun, it will happen so quickly and terribly that you’ll have to be swift and sure. If you don’t, you’ll still be handling a deadly weapon in the presence of people you love. Making gun manipulation second nature—safety as well as draw-fire-hit—is thus doubly important. A motor scooter is a motor vehicle, but it’s a poor excuse for a family car. A .22 or a .25 is a firearm, but it’s a poor excuse for defense. 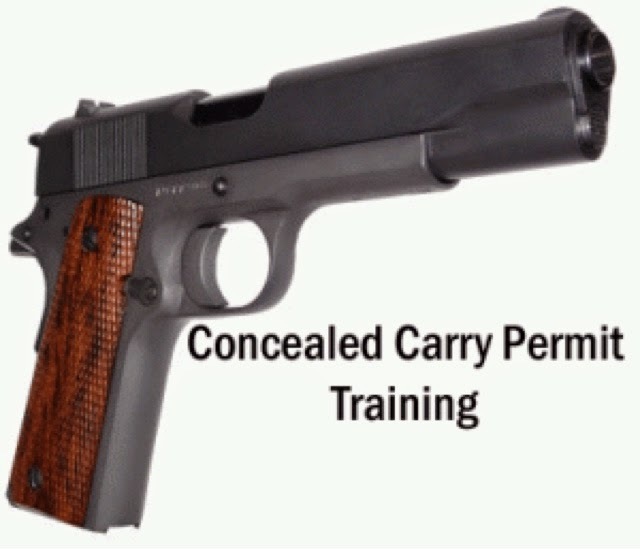 Carry a gun loaded with ammunition that has a track record of quickly stopping lethal assaults. Hint: if your chosen caliber is not used by police or military personnel, it’s probably not powerful enough for its intended purpose. Common sense—encompassing ethics and logic and law alike—must be your constant guide and companion when you decide to carry a gun. Not idealism, not rhetoric. When you carry a gun, you literally carry the power of life and death. It is a power that belongs only in the hands of responsible people who care about consequences, and who are respectful of life and limb and human safety—that of others as well as their own.